With $29,796,380 in live tournament winnings – including his recent $8.3 million One Drop score – and a lucrative sponsorship deal with PokerStars, Daniel Negreanu is definitely not hurting for money these days. 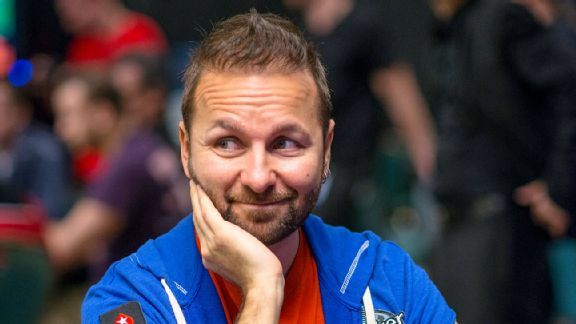 Even still, Negreanu can’t help but reminisce about the time that he almost made $170 million….until the Unlawful Internet Gambling Enforcement Act (UIGEA) was signed into effect in 2006. Keep reading to find out more on the failed business deal that would’ve made Negreanu rich beyond his wildest dreams. During the early and mid-2000s, Kid Poker noticed that the online poker market was a pretty wide open place. Sure PokerStars and Full Tilt were beginning to emerge as industry leaders, but there was still a lot of room for others to succeed. After launching FullContactPoker, Negreanu did a lot of the promotional work by himself. By this point, he’d already built up a good network of contacts in the poker world and beyond. So Negreanu reached out to TV and radio stations in an effort to promote his online poker site. He also claims that he could do up to 50 radio interviews in a day across the US and Canada. Thanks in large part to Negreanu’s promotional efforts, FullContactPoker was doing very well in the US market. And it was at this point that he received an offer “in the neighborhood of $170,000,000” for his poker site. Seeing as how the $170 million deal was sunk by the UIGEA, Negreanu signed a lucrative sponsorship deal with PokerStars and moved his player base to Stars. Other poker rooms like Full Tilt, PartyPoker and UB were also interested in sponsoring him, offering large sums of money. However, he felt like Stars had the most to offer in terms of integrity, good software and a vision for the future. One thing that really won Negreanu over about his current sponsor is that they weren’t “random poker-playing dudes who wanted to be businessmen,” but rather former IBM professionals. And his instincts were definitely right because he’s been the face of the world’s largest online poker site for years. But one can’t help but thinking that in a perfect scenario, he’d rather have the $170 million.